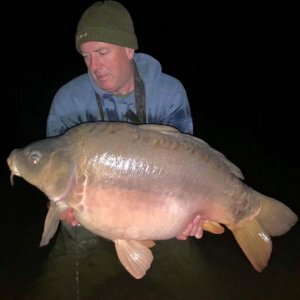 450 stunning Ribiere big carp to 80lb, first class accommodation, facilities for families and groups - all in a relaxed and tranquil environment. 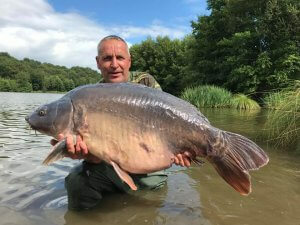 Quite simply, a jewel in French carp fishing. 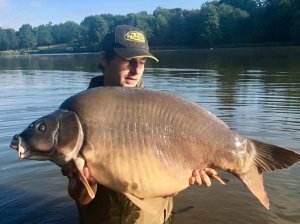 We focus on giving our big carp the best conditions to reach their maximum growth - and it shows. 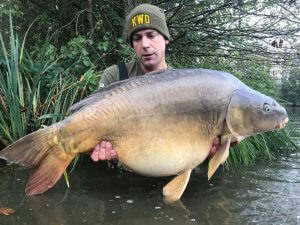 We are known for our big head of big carp. 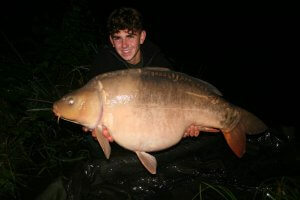 The lake was originally stocked in 2001 and there are now around 400 carp to 76lb. 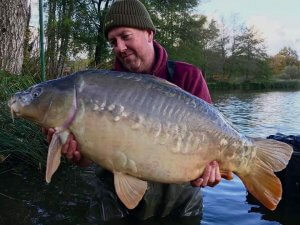 We have a mix of stunning scaly fish, fast growing commons and our large stock of big mirrors. 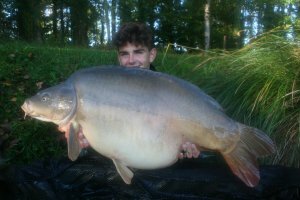 We have 13+ fish over 60lb and three over 70lb (72lb,73lb,76lb). 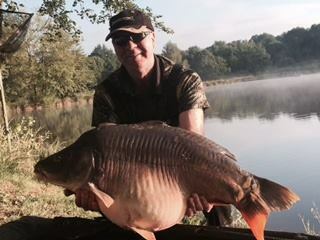 We have 150 fish over 45lb and many of them reaching well over 50lb. 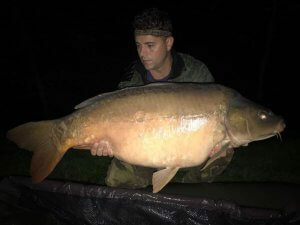 The lake record was Julie at 84.7lb (This fish has not been caught since 2015). 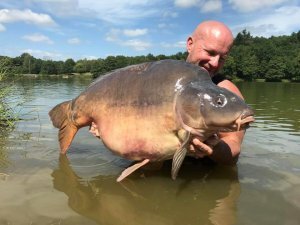 The three biggest fish are Mr Magoo at 72lb, Moonscale at 76lb and the leather at 73lb. 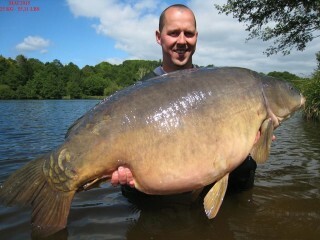 We have a good number of growing fish over 55lb. 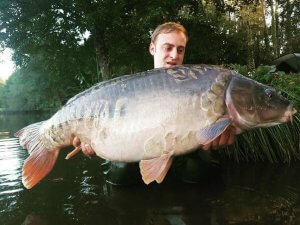 See the 'A' Team here and in the fish gallery below. 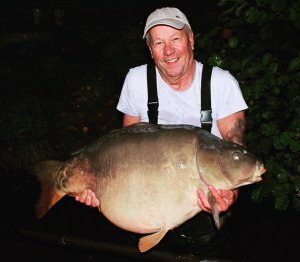 We have created a range of facilities to suit all of your angling needs. The reception block contains stunning shower facilities, changing room and toilets as well as charging points for boats and phones. 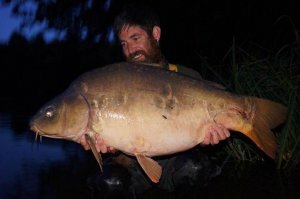 There are also fridges for food and bait as well as the large walk-in bait fridge for your bait needs. 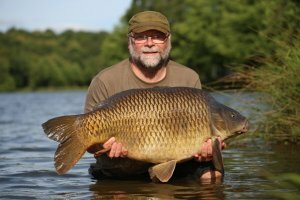 We have free wifi in all our accommodation and this will be extended during 2017 to include the lake. In addition we have a children's play area, heated outdoor swimming pool and sauna. 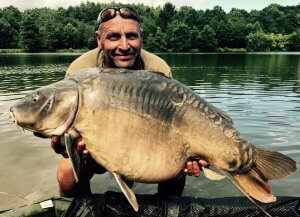 Ribiere has been described, as a “jewel in France carp fishing” by Steve Briggs and it’s easy to see why. The lake is simply stunning. 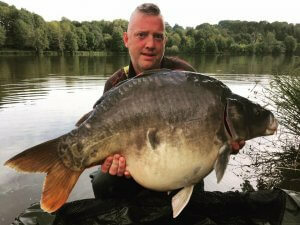 Tree-lined, tranquil and an ideal place to relax and enjoy your fishing. 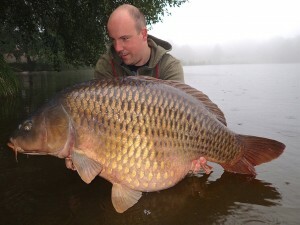 Fishing is from one side only and you have plenty of water allocated for each swim. 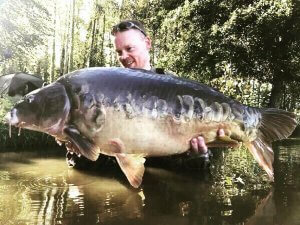 You will not get disturbed by other anglers. We have just 10 pegs in 22 acres and there are markers on the far bank designating your water. Peg 7 is the only double and commands a main bay. View map for more details or explore the pegs here. 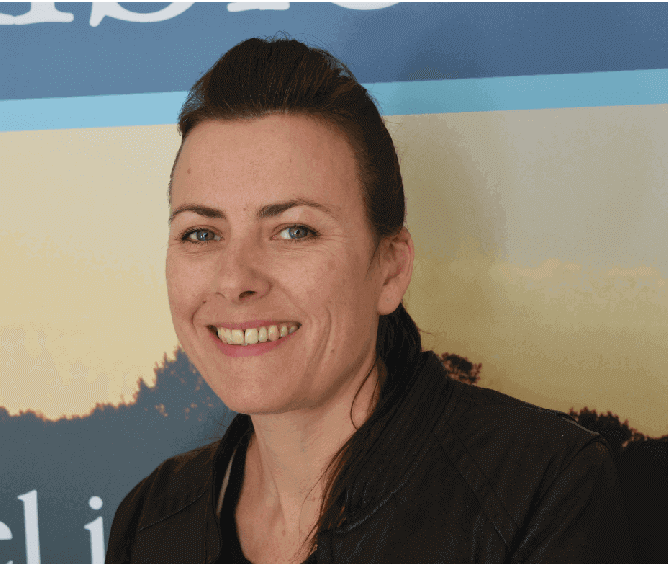 What sets Ribiere apart is the quality and range of accommodation. 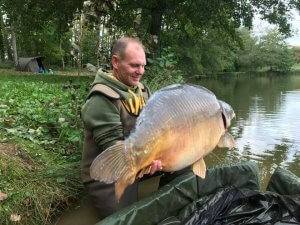 Traditional French styling and a wide range of choice - from two person gites to family accommodation and our wooden chalet. Our lake exclusives are all housed in our purpose-built apartment with seven twin/double bedrooms and large, shared kitchen and patio. All accommodation is equipped to a high standard with showers, toilets, kitchen facilities and outside patio area. All are served by free wifi access. 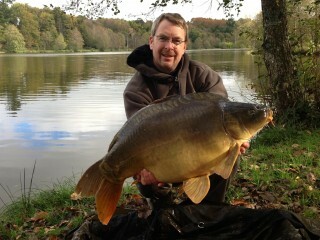 Anglers staying in July and August (high season) must book accommodation. Prices are shown per week. So relax and enjoy the experience, either with your friends or with the family. All rooms have their own ensuite shower/toilet, a large shared open plan kitchen/dining room and large seated terrace area. French styling meets modern living. 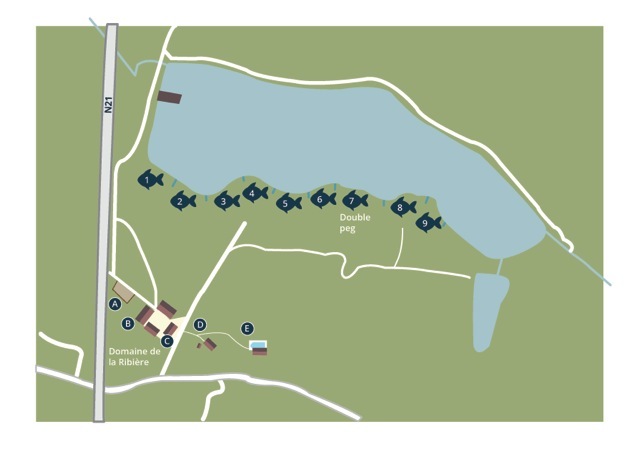 This accommodation can be booked for large groups, lake exclusives or used as individual rooms. Ideal for family functions. The kitchen is fully equipped with hob, fridge, microwave, TV, washing machine. 420€ per room per week. All gites are equipped with a small kitchen [microwave, hob, washing machine], double bed and sofa bed. All gites have TV, wifi, ensuite showers/toilets and private terrace. 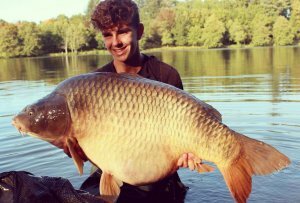 They are ideal for couples, younger families or anglers wanting accommodation as part of their package. If you are arriving on a Friday and want to rent a room for the night, these are also available. 550€ low season - 670€ high season (July and August). The wooden chalet is ideal for small groups or families (Sleeps 6/8). Situated in its own garden, close to he swimming pool and a short walk to the lake, the chalet has a double bedroom, twin room and sofa-bed in the lounge. There is a good size bathroom, open plan kitchen diner/lounge area and a sun room with an additional dining table. There is also an large annexe which can be used an an extra bedroom or playroom. It is ideal for small groups or larger families. 990€ low season, 1200€ high season (July and August) per week. There are two bedrooms (one double, one twin), lounge with sofa bed and bathroom with shower. The small kitchen is fully equipped with hob, TV, microwave. Cots are available on request. Outside you have your own terrace ideal for al fresco dining during the warmer months. As with all our accommodation you have use of the pool and sauna. Free wifi is available. 650€ low season - 850€ high season (July and August).